Just because it’s winter doesn’t mean you need to hibernate. Today, we’re running through some of your best options for winter fun in the USA. Anyone planning a move to the USA is in for a treat when winter rolls around. Americans have a knack for making the best of things, so wintery sports cover everything from a spot of gentle snow-shoeing to the thrill of heli-skiing. It’s not all cold though, much of the country basks in warm weather and even the chilliest spots get far more sunshine that in the UK. Here are just some of the ways you can be escaping the hellish dinge of a British winter! New York enjoys almost three times as many sunshine hours during January as London! Given the fact we’ve just watched New York be covered in piles of snow, it’s a shock that the city enjoys almost three times as many sunshine hours during January as London! No wonder Londoners are so grumpy. While temperatures in the north of the US are regularly well below freezing (great for you snow bunnies) the further south you head, the more Vitamin D you have awaiting you. Here are some of the average sunshine hours for the US compared with the UK during the month of January. 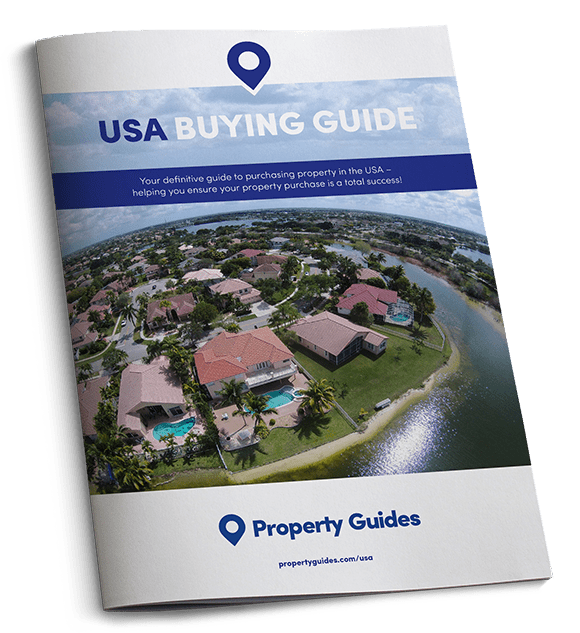 For a detailed explanation of how you can protect your protect budget from currency risk, read the Property Buyer’s Guide to Currency. It is written by our currency partner Smart Currency Exchange, rated “Excellent” on Trustpilot. We can’t pen an article about winter sun without kicking things off with The Sunshine State. As the forefather of American “snowbird” locations (where northerners flock for warmth in winter) Florida is the perfect choice for sunshine. 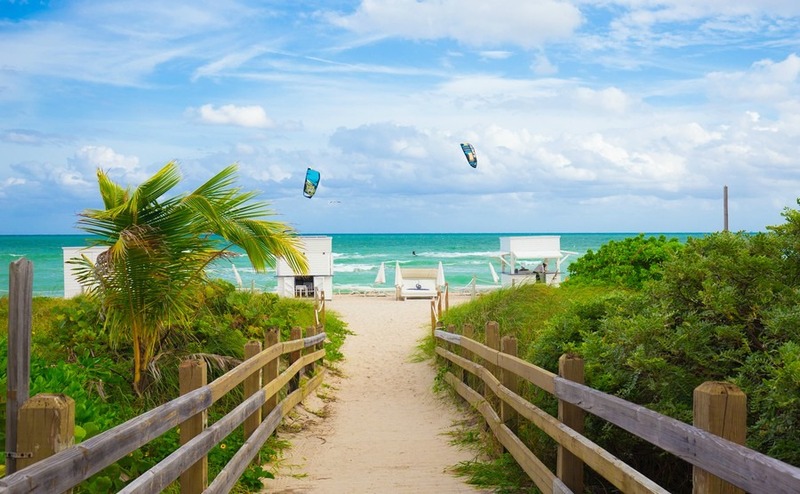 Miami is an obvious choice for sun lovers and those craving a good party. Jacksonville, Orlando and Tampa all enjoy around 200 sunshine hours each January. If you’re a thrill seeker, you’ll find shorter lines at all of Orlando’s theme parks, and you’ll be able to find better hotel deals. Good news all round! Winter in California means far fewer people, even with temperatures still sitting around a rather glorious 20 degrees. Make the most of practically empty beaches, or if you’re into golf, this is a perfect time to get in a few rounds without the risk of heat exhaustion. The shops and theme parks of LA and San Diego will have shorter queues, and you’ll be able to secure reservations with relative ease at all the hottest restaurants in town. In San Francisco, where temperatures rarely fall below 10 degrees, you’ll be able to visit Alcatraz, or attend the cities galleries and theatres without having to battle the crowds for tickets and elbow room. San Francisco Restaurant Week takes place in January and involves 11 days of wonderful deals at more than 120 local restaurants – which is great news for those on a budget as San Fran has a reputation for being a little pricey. 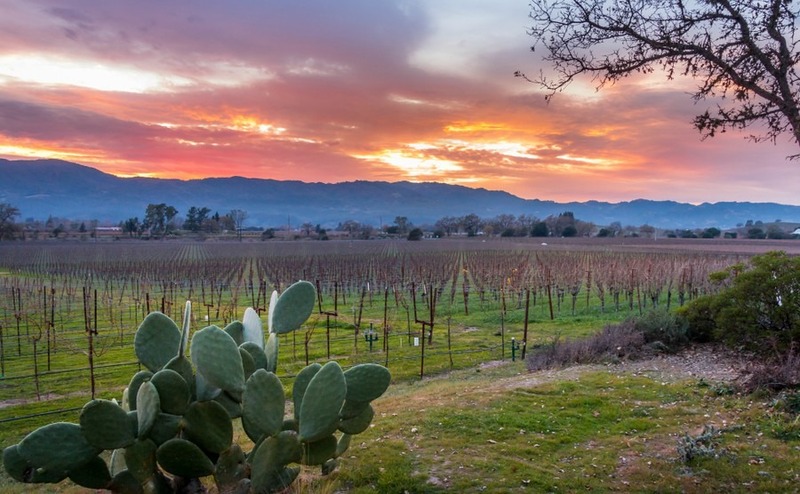 A visit to Napa Valley is another excellent winter option in California, especially as you can still enjoy the same delectable food and wine, just without all the traffic, crowds and extortionate prices. The average winter temperatures hover around 10 degrees, and you can enjoy Restaurant Month and a Truffle Festival in late January, when renowned truffle chefs team up with wineries to bring you hearty fare. Winter is also cabernet season in Napa – which sure sounds good to us! The ‘California Double’, which involves surfing (or sunbathing if balance isn’t your forte) and skiing on the same day! 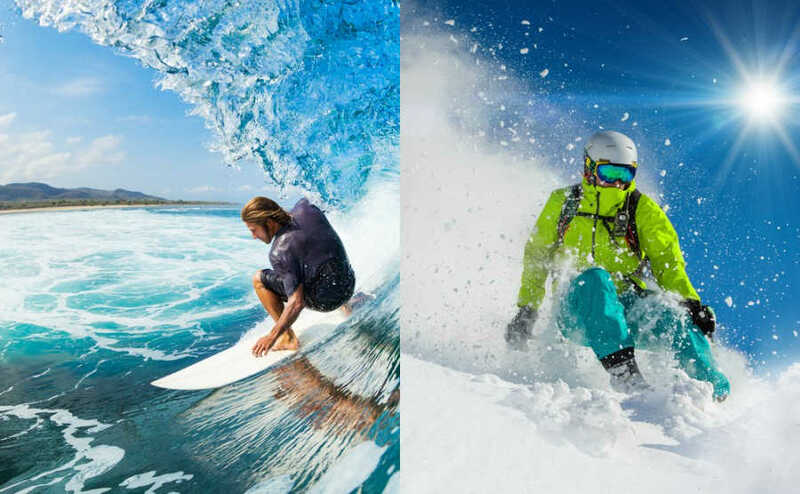 California also allows you to enjoy what’s known as the ‘California Double’, which involves surfing (or sunbathing if balance isn’t your forte) and skiing on the same day! The best spot for this is Huntingdon Beach, south of LA, which is just a two-hour drive from Big Bear’s Snow Summit Resort. If you prefer something a little more active, you can make the most of this time of year to visit some of the USA’s many National Parks. You’ll definitely need your cold weather gear, but you can explore spectacular locations like Yellowstone National Park in Wyoming and Mount Rainier National Park in Washington on the back of a snowmobile, via a guided hike, a spot of snowshoeing or some Nordic skiing. Both parks are home to incredible wildlife, including giant bison, bears and antelope. Most people assume that National Parks close during winter – their assumption is great news for you! The parks will be far more peaceful during winter than in peak season, allowing you uninterrupted enjoyment of the landscapes. Expect thick snow, frozen waterfalls and lots of peace and quiet. Why not split the cost and double the fun of holiday homeownership abroad by buying with family members? Read our new guide, Buying Abroad with Family. 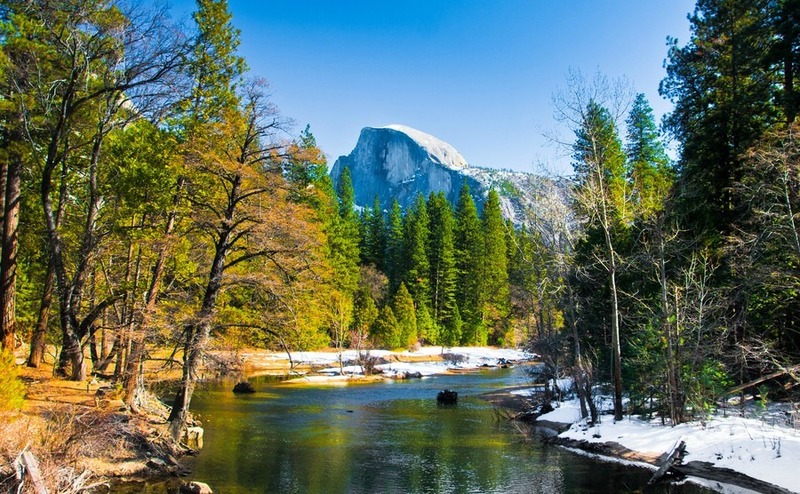 Winter is an excellent time to visit the National Parks which attract the most annual visitors, as you’ll be able to experience them as many don’t. The Grand Canyon in Arizona for example. Although it can often be a little foggy in the morning, which we reckon adds a little something special, it always burns off by the early afternoon leaving you to enjoy guided tours, walks and scenic flights. If you’ve always fancied trying some ice fishing, you could head up to the Acadia National Park in Maine, home to many spectacular lakes. It’s on the ocean, and offers some great skiing through the backcountry. Other excellent options include, Yosemite in California, Zion National Park in Utah or the Glacier National Park in Montana. This famous New England peninsula is just as beautiful during winter, and you can enjoy the exact same hiking and biking trails as during the summer – only with a fair few more layers. Accommodation options are a lot more affordable, there are wonderful bars and restaurants to enjoy, particularly around Provincetown. This corner of the USA is the home of clam chowder – a perfect way to warm yourself up after a long day of brisk wintery walks by the coast. Many of the world’s best ski resorts are located in the USA. Colorado is a popular choice, home to old favourites like Aspen, which has four mountains and a good variety of runs, Vail, Telluride, Winter Park and Snowmass. Big Sky in Montana is a great option, as is Jackson Hole in Wyoming if you consider yourself a pro. You’ve got to admit, the place names are kind of tempting! Utah is growing in popularity with snow lovers too, with fantastic resorts like Snowbird and Park City, which is America’s largest ski area with over 7,300 acres of skiable terrain. Salt Lake City is an attraction in itself and one of the most affordable places to stay if you need a good value place to base yourself. Wolf Creek and Estes Park are Utah’s other popular choices for quieter slopes, ice skating, sledding and snowshoeing. Lovers of craft ales and microbrews will be delighted in the array of options to sample after a long day on the slopes. If you’ve always fancied bathing in the eerie dancing lights of the Aurora Borealis, or the Northern Lights as they’re more commonly known, winter is the ideal time to do so in the USA. 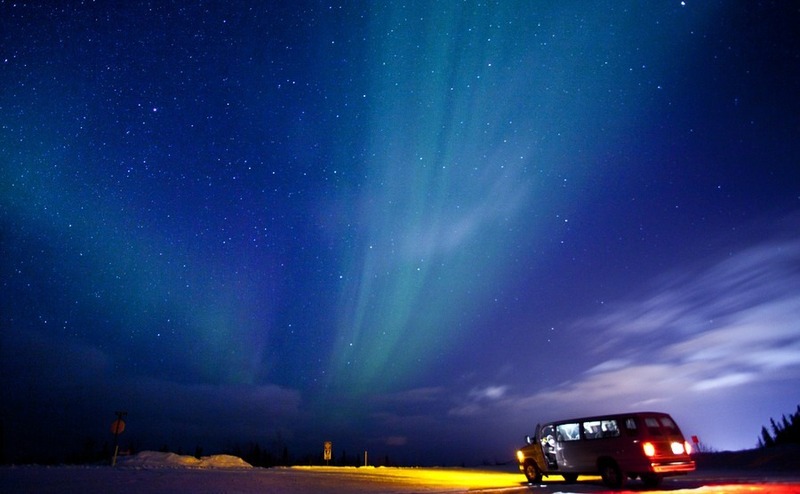 Head up to Alaska, which is a breath-taking location at any time of year. The lights usually show their face late at night, between 11:30pm and 3:30am, leaving you plenty of opportunity to fill your days with fun winter activities like dogsledding, ice-carving, hiking and nature trails. Yes, that’s right, ice carving. Like we said, Americans like to make the best of whatever is to hand. Winter is of course the coldest time of year up in Alaska, but the state is well-equipped for the cold and there is plenty of fun to be had snuggling up around log fires. The winter is a fantastic time to explore the southern states, especially if you’re craving some heat on your chilly bones. Music lovers might choose to visit New Orleans or Nashville, while crowds are at their thinnest. Santa Fe in New Mexico is a good option for those wanting to team a cultural getaway with some time on the slopes up in Angel Fire, Taos and Ski Santa Fe. South Carolina is a good option for lovers of history, golf, and the beach! You might also like to set your sights on Texas, where the winters are mild, which means ideal conditions for a spot of exploration. South Padre Island is every Texan’s favourite beach destination, and it’s just the spot for beach side strolls, boat rides, picnics and bracing swims in the Gulf if you’re brave enough! Bird watchers, stargazers and campers might like to head out to Davis Mountains State Park or Big Bend National Park. Falcon State Park is a popular choice with fishermen, due to the Falcon Reservoir located on the Rio Grande, which is one of the USA’s best winter fishing spots.